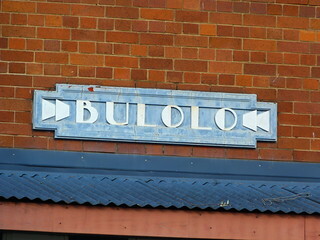 Bulolo Flats in Brisbane's Fortitude Valley were named after the Bulolo Goldfields in Papua New Guinea. Designed by architects Hennessy & Hennessy they were built in 1934 as residential flats for single young women who worked at the department store of building owner T C Beirne. Good on them for building residential flats for single women who worked at one particular company! Love the decorative elements, including the name of the block, but I am not sure about the red brick. I don't mind the bricks. 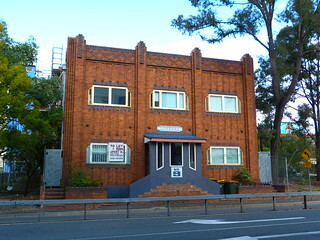 Reminds me of Sydney deco buildings.